As professional baseball leagues all across the United States end their regular seasons and ball parks turn off their lights for the final time, the lights are just turning on in other parts of the world. 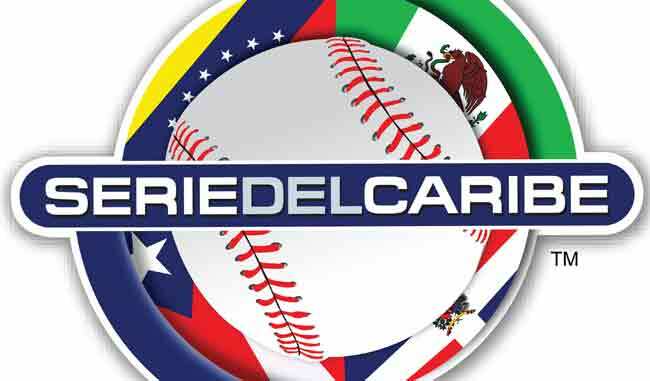 For the Caribbean countries of Puerto Rico, Dominican Republic, Cuba, Venezuela and Mexico their regular seasons are just getting started when the American seasons end. Armed with some of the best players their countries have to offer plus some budding and aspiring stars from the America ranks, these leagues are what fans all across these countries look towards all year-long. We caught up with Steven Hensley, Seth Frankoff, and Tyler Ybarra after they returned home from playing in the Caribbean. They provided some insight on each league. Sharing their experiences and what they accomplished by continuing their seasons playing in the winter leagues. The Liga Mexicana Del Pacifico or Mexican Pacific League was founded in 1957 under the name Liga Invernal de Sonora (Sonora Winter League) it adopted its present name in 1970. Currently the league features eight teams and its regular season consists of 68 games. Its most recent champion is the Tomateros of Culiacan which earned the right to represent Mexico in the Caribbean World Series. 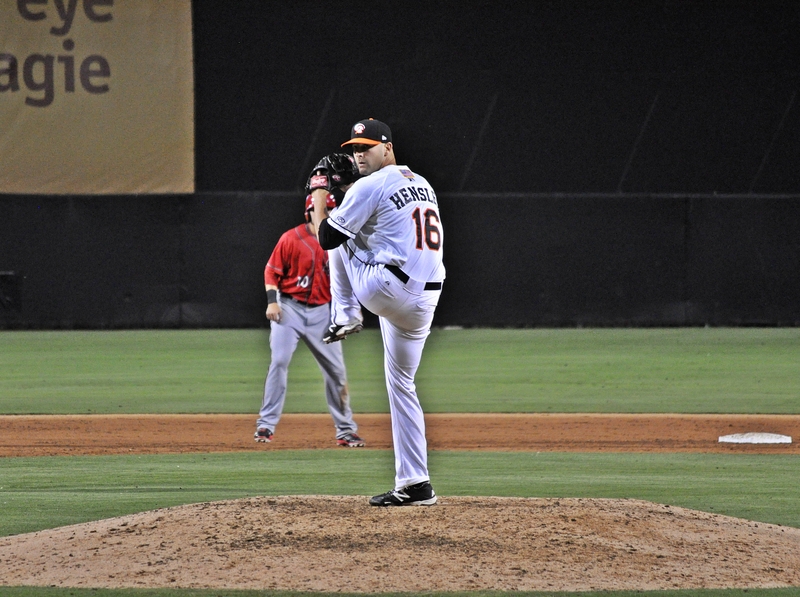 Steven Hensley had just completed a successful 2014 season in the back-end of the Bowie Baysox bullpen playing in the Baltimore Orioles organization. Hensley was interested in continuing his season in one of the winter leagues. Hensley had discussed some opportunities with his field coordinator who helped him find a team. As a first timer, playing in Mexico the game experience between what Hensley has seen in the United States and Mexico were extremely different. The environment was one in which Hensley not only enjoyed, but flourished in. As the closer for Mazatlán, Hensley appeared in 20 games and picked up the save in nine contests. 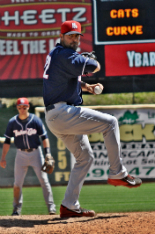 He finished the year with a 2.53 ERA and held Mexican League opponents to a .211 batting average. In the United States games at all levels are pretty subdued compared to the games played all over the Caribbean. Unlike the American game where the scoreboard often cues fans when to cheer, the noise level never stops in the Caribbean and at times the players can be seen offering encouragement for the fans to get louder. When asking Hensley about the atmosphere in the Mexican league he painted a picture very different from a typical game in the United States. For Hensley his trip to Mexico helped him continue to make strides in his on field performance. “I was able to throw the ball extremely well and built off my season in the states,” said Hensley. His performance in Mexico also assisted in additional doors opening. Once the Mexican season ended he received a call from the Navegantes del Magallanes (Venezuela) and the Los Angeles Angels. He spent a short amount of time with the Magallanes before returning home to prepare to start the season with the Angels, who signed him to a contract this off-season. Hensley will take away many positive memories from his experience in Mazatlán but one of his fondest memories will be being able to experience it with his family. Liga de Béisbol Profesional de la República Dominicana or Dominican Republic Professional Baseball League was founded in 1951 and consists of six teams. Each team plays a fifty game schedule and the leagues winner represents the Dominican in the Caribbean World Series. The 2015 champion Gigantes del Cibao represented the Dominican Republic in the Caribbean World Series. After a successful 2014 season in which he was promoted from AA to the AAA level by the Oakland A’s, Seth Frankoff found a winter league opportunity in the Dominican Republic. Frankoff made five relief appearances with Estrellas which covered four innings of work before his time came to an end. During that time with the Estrellas Frankoff noticed some differences between the game he has experienced in the states. Another thing Frankoff noticed is more velocity coming from the pitchers. “I saw a lot of velocity. I saw more 95 mph plus pitches that I had ever seen,” said Frankoff. Like Steven Hensley mentioned in Mexico, Frankoff also discussed the vastly different atmosphere during his time in the Dominican. Frankoff felt that playing in this type of atmosphere could only help prepare him for the future and also help him get ready for the upcoming season. The Liga Venezolana de Béisbol Profesional or Venezuelan Professional Baseball League was founded in 1945. The league which currently consists of eight teams plays a 65 game schedule. The current 2015 champion of the league is Caribes de Anzoategui and they represented Venezuela in the Caribbean world series. Coming off his first full season at the AA level with the Toronto Blue Jays, Tyler Ybarra signed with the Tiburones de La Guaira in Venezuela. Ybarra had hoped to play winter ball before an injury sidelined his season in the Eastern League. Like the other leagues baseball in Venezuela is known for its amazing atmosphere. For Ybarra it was an unforgettable experience. During his time with Tiburones de La Guaira, Ybarra appeared in four games and while he did not allow any earned runs he did walk seven batters but the experience getting back on the mound after an injury was invaluable. The Colorado Rockies acquired Ybarra shortly after we spoke to him. As Ybarra’s 2015 gets underway in a new organization new doors could open up in his quest for the major leagues. Like Ybarra, both Seth Frankoff and Steven Hensley were both signed by a Venezuelan team, Navegantes del Magallanes following their time in the Dominican and Mexico. Both players had brief experiences with Magallanes and both agree that the Venezuela League atmosphere was equally impressive. The other leagues which make up the Caribbean World Series come from the countries of Puerto Rico and Cuba. The Liga de Béisbol Profesional Roberto Clemente was founded in 1938. The league is well-known for giving players such as Roberto Clemente and Orlando Cepeda their first professional experiences. The league has had a number of different names but was renamed after the great Roberto Clemente in 2012. The league wanted to honor its native son adopting his name not only due to his great career but also due to his life’s work outside of the game of baseball. Currently the league consists of six teams which play a 50 game schedule. The 2015 champion Cangrejeros de Santurce represented Puerto Rico which hosted the championship this year. The Serie Nacional de Béisbol or Cuban National Series was founded in 1961 and formed due to the dissolution of the Cuban League during the Cuban Revolution. The league consists of 16 teams which represent each province in Cuba. The regular season consists of 90 games and the league is divided into an east and west division. The 2015 league champion, Pinar Del Rio represented Cuba in the Caribbean World Series this year. This is only the second season since Cuba returned to the tournament as Cuban players were barred by its government from competing in professional events outside the country in 1961. As you can see from the experiences of these three players, the leagues of the Caribbean offer a different more intense style of baseball than many fans are used to in the United States. What would today’s baseball be like if players encouraged crowd noise, if fans made more noise or if live music was being played on the dugouts. We may never know how these things would change the atmosphere of baseball in America. If your like me and haven’t experienced the Caribbean Leagues first hand, I hope that reading this article has put experiencing it on your bucket list. It’s definitely on mine.